You are here: Home / Jyotish Gemstones and Talismans / A fantastic rare combination of a Blue sheen Moonstone, the superior alternative for Natural pearl, the gemstone of Moon, and a Chrysoberyl Cats eye / Lehsunia, the gem of the South node, Ketu, in a breathtakingly calming pendant that just instantly gives you mystical peace! 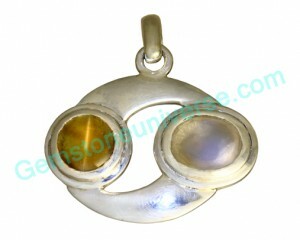 The pendant is designed like the Yin and Yang symbol, reflecting perfect harmony! 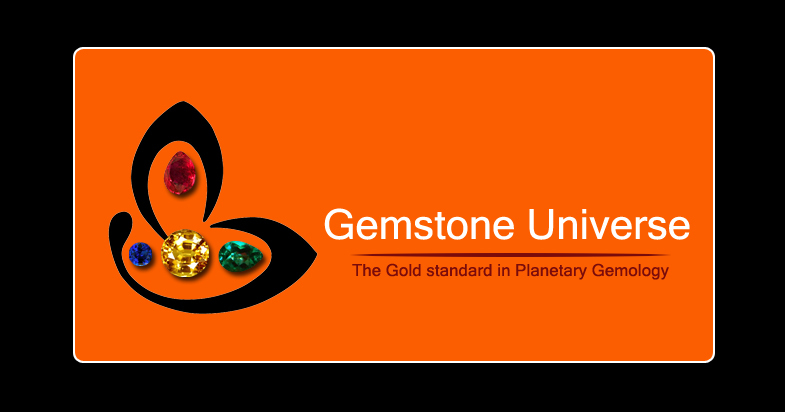 Just what this combination of gems gives-perfect mental harmony! A fantastic rare combination of a Blue sheen Moonstone, the superior alternative for Natural pearl, the gemstone of Moon, and a Chrysoberyl Cats eye / Lehsunia, the gem of the South node, Ketu, in a breathtakingly calming pendant that just instantly gives you mystical peace! The pendant is designed like the Yin and Yang symbol, reflecting perfect harmony! Just what this combination of gems gives-perfect mental harmony! Natual Untreated Blue Moonstone of 2.37 carats and Madagascar Chrysoberyl Cats Eye 2.36 of carats Gemstoneuniverse. Table of Cats-eye and Blue Moonstone Gemstone Facts!